The Best Jacksonville Blogs from thousands of Jacksonville blogs in our index using search and social metrics. We’ve carefully selected these websites because they are actively working to educate, inspire, and empower their readers with frequent updates and high-quality information. Jacksonville newsletter is a comprehensive summary of the day's most important blog posts and news articles from the best Jacksonville websites on the web, and delivered to your email inbox each morning. To subscribe, simply provide us with your email address. Jacksonville, Florida About Blog The regional authority on living well, Jax Mag offers readers the best in entertaining, design, food and travel, as well as thought-provoking insight on local issues, profiles on some of the most intriguing and influential River City residents, and in-depth features on the history and color of this fascinating region. Facebook fans 15,467. Twitter followers 39,664. Jacksonville, FL About Blog Eu jacksonville is a free online resource and monthly printed newspaper that provides detailed coverage of the local entertainment, music, arts, culture, and businesses in Jacksonville. From art galleries to local theatre stages and the best new restaurants, we include it all. Eu jacksonville is the publication jacksonville’s most active and artistically-attuned residents trust to keep up with what is coming to town. Facebook fans 7,630. Twitter followers 10,714. Jacksonville, Florida About Blog Events, living, dining, news and more in Downtown Jacksonville. Facebook fans 17,644. Twitter followers 66,075. About Blog Jacksonville's Entertainment Resource. Cuisine. Arts. Nightlife. Music. Community. Kids. Sports. Entertainment. Facebook fans 18,706. Twitter followers 1,835. Jacksonville, FL About Blog The Daily Record publishes news, profiles and articles of interest to the Jacksonville urban core's business, financial and legal communities. Facebook fans 6,110. Twitter followers 5,421. Jacksonville, FL About Blog Jacksonville's BEST parenting resource! Find things to do and events for KIDS in Jax! Jacksonville Moms Blog is passionate about parenting and Jacksonville. Facebook fans 78,045. Twitter followers 3,766. Jacksonville About Blog Jax Restaurant Reviews specializes in reviewing unique and interesting restaurants in and around Jacksonville. We are passionate about connecting with friends and family over a good meal. Facebook fans 19,204. Twitter followers 7,511. Facebook fans 9,787. Twitter followers 13,703. Duval, FL About Blog Your best source for quality Jacksonville Jaguars news, rumors, analysis, stats and scores from the fan perspective. Facebook fans 27,413. Twitter followers 26,811. San Francisco, CA About Blog The "official" subreddit for Jacksonville, Florida. Facebook fans 1,187,409. Twitter followers 556,878. St Augustine, FL About Blog Our real estate team specializes in World Golf Village, St. Augustine and Jacksonville, FL 32092, St. Johns & Duval Counties. We also handle Real Estate, Golf Course Homes, Short Sales, Foreclosures, Leasing and Rentals. Facebook fans 2,006. Twitter followers 1,310. Chattanooga, TN About Blog Lifestyle Blogger... Travel Enthusiast... Lover of all things fun and exciting life has to offer. Facebook fans 1,818. Twitter followers 1,681. Jacksonville, FL About Blog Tips for home buyers and sellers, real estate market information and more about Jacksonville Florida and surrounding communities. Facebook fans 394. Twitter followers 410. Jacksonville FL About Blog Jacksonville Wedding Photographers specializing in Indian weddings. Serving Ponte Vedra, St Augustine and Orlando for any photography shoots including family photos, couple portraits, event shoots and senior portraits. Facebook fans 13,844. Twitter followers n/a. Facebook fans 6,853. Twitter followers 1,566. About Blog At Dental Center of Jacksonville, previously known as Avenues Dental Center, it is Dr. Patel's mission to provide great dental care, with a comfortable and relaxing atmosphere, at affordable prices. Follow this blog where Jacksonville dentist covers dental topics. Facebook fans 275. Twitter followers n/a. Jacksonville About Blog Award winning wedding photographers proudly serving Florida and destinations worldwide. Facebook fans 1,808. Twitter followers n/a. Jacksonville About Blog A Blog about Northeast Florida Real Estate and News. It's what's up in Jacksonville covering News, Events, Real Estate, Realtor Updates, and much more. San Francisco, CA About Blog The spooky subreddit for Jacksonville Jaguars fans. Jacksonville About Blog Solutions that don’t break the bank, reinvent the wheel or marginalize our teachers are within our grasp. We could have rigorous classes, safe and disciplined schools and treat teachers like valued colleagues rather than easily replaceable cogs, and we could do so tomorrow if we wanted. Jacksonville About Blog North Jax CrossFit in Jacksonville, FL is a core strength & conditioning program that delivers a fitness that is by design, broad, general, and inclusive. Whatever your goals may be, we're here to assist you in reaching and even exceeding those goals. Our coaches have years of experience in CrossFit, Weightlifting and Power Lifting. Facebook fans 1,234. Twitter followers n/a. Jacksonville, FL About Blog This blog by Sheftall & Associates, PA aims to bring news and commentary on Legal issues to residents of Jacksonville, Florida. At Sheftall & Associates, we represent clients in catastrophic and personal injury cases, as well as businesses in commercial litigation. Facebook fans 16. Twitter followers 16. Jacksonville About Blog The Official Newsfeed of the Jacksonville Film and Television Office. Over the past two years, the Jacksonville Film & Television Office permitted and assisted 110 productions that generated over $10.1 million in local economic impact, creating more than 4,700 jobs and utilizing more than 6,000 hotel room nights. The Film Office is a consistent and considerable revenue generator for the city. 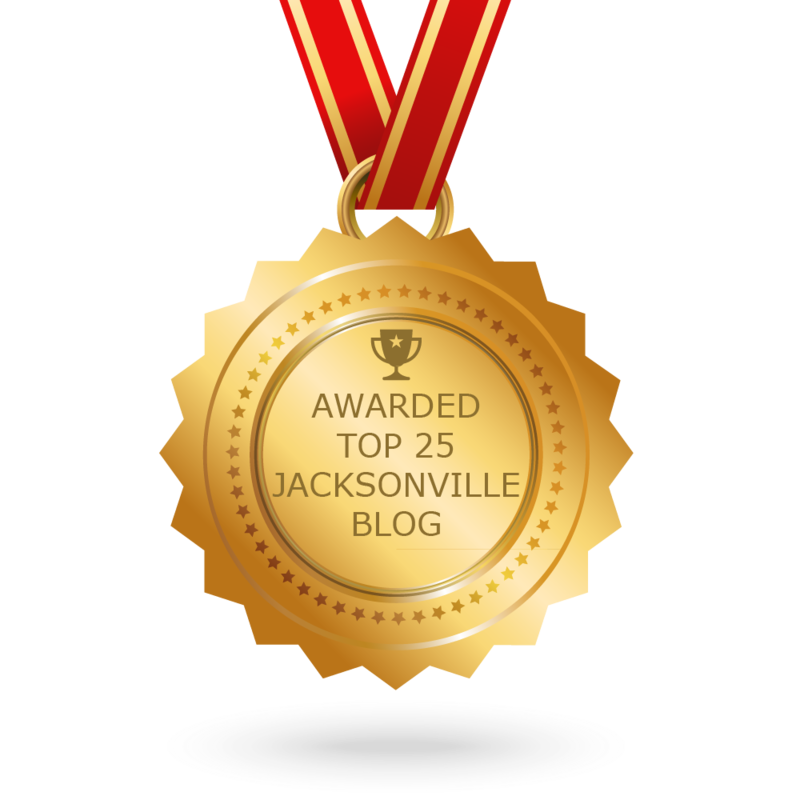 CONGRATULATIONS to every blogger that has made this Top Jacksonville Blogs list! This is the most comprehensive list of best Jacksonville blogs on the internet and I’m honoured to have you as part of this! I personally give you a high-five and want to thank you for your contribution to this world.